Will Scott is a UK-based photographer working with architects, designers, developers and built environment professionals. Scott doesn't have a background in architecture, as many of his peers do, and he considers this an advantage in his work: "I feel it gives me a different perspective when it comes to communicating the designer’s ideas and intentions to the world," he says. In 2016, Scott was shortlisted for the Arcaid Architectural Photographer of the Year Award and his first book, Seaside Shelters, was published by Heni last year. 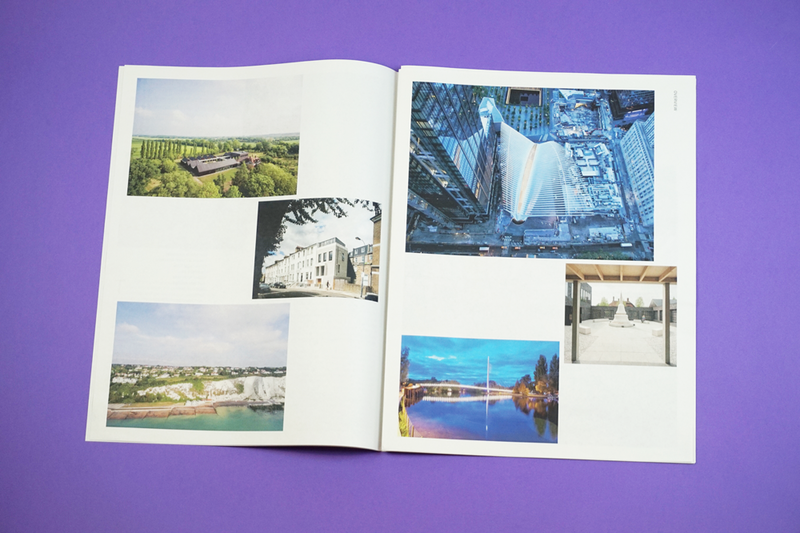 His latest portfolio is printed as a tabloid newspaper—using our new digital printing!—and showcases a mix of client work and personal projects. Below, Scott tells us about his process for capturing the unique character of a building or interior and why communication is a photographer's most essential skill. A seaside shelter in Deal, Kent photographed by Will Scott. I never had creative jobs growing up, despite coming from a very creative family: my grandmother was an artist, my mum makes jewellery, my sister works in fashion and my cousin is a musician! I didn’t study photography at university—I studied geography, actually—but I have an uncle who is a photographer and I stepped in when he needed an assistant at short notice. He shoots hotels and although that’s not exactly the direction my career went, it was a great grounding to have. It also meant I had to learn the ropes quickly as I soon had to edit all the images—a steep but good learning curve! At the moment, it’s all digital. I’m planning on shooting some non-commissioned work on film in the future, though. Certainly commercial work will remain digital for the foreseeable future. 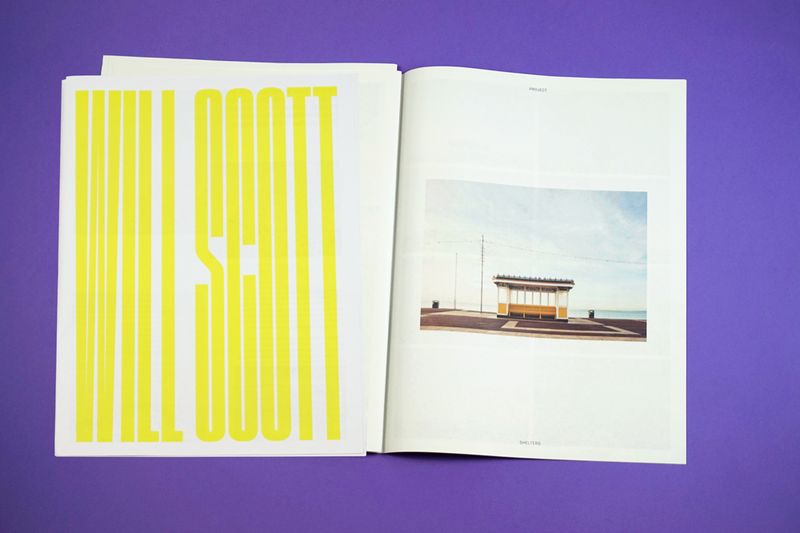 Will Scott photography portfolio, printed as a digital tabloid newspaper. You recently printed a digital tabloid portfolio with us. Can you tell us about the work in the newspaper? The work is partially commissioned work and then at the end I’ve included some of my personal work. Both are focused on the built environment. 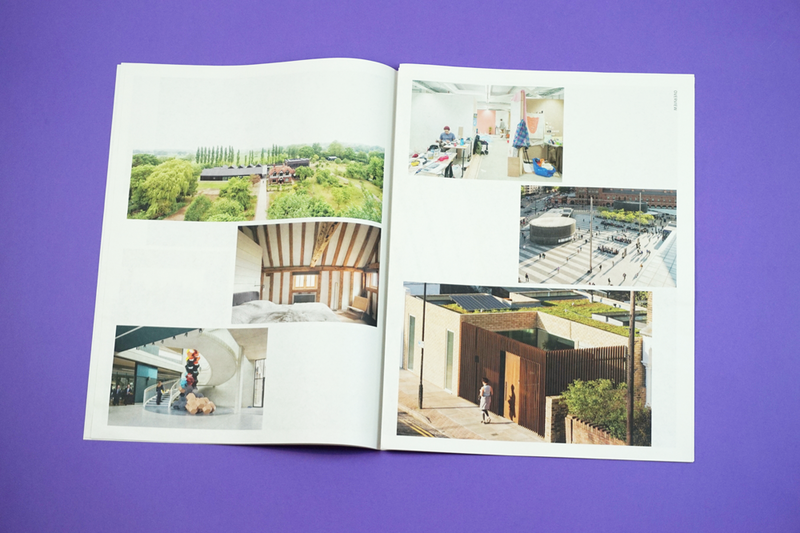 Personal projects include an ongoing series exploring the architecture of the London Underground and a series on seaside shelters, which was published as a book earlier this year. Greenhatch Farm photographed by Will Scott for KnoxBhavan Architects. How are you using the newspaper? Mainly sending them out to prospective clients to try and attract some attention. I’m in a very competitive field (aren’t we all!) and I feel like I’m still fairly unknown to the wider industry, so this is a good way to stand out from the crowd. 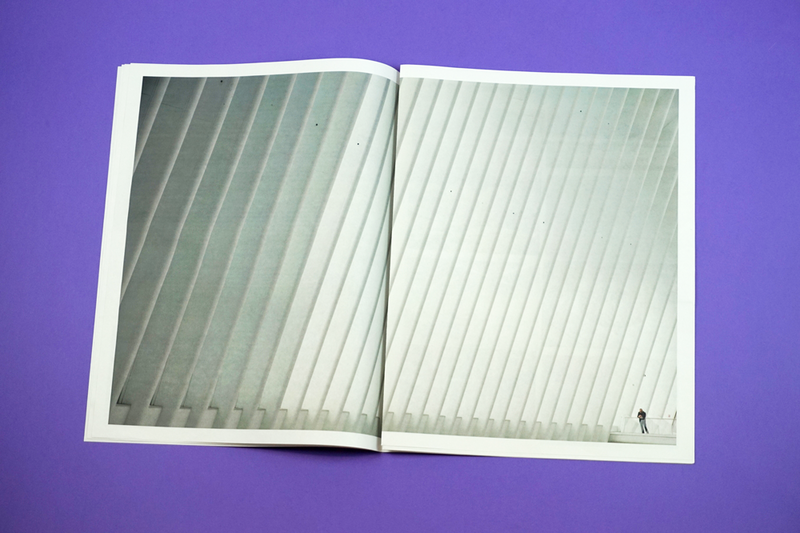 tactile things, so sending a newspaper is a really good fit." I know that very few photographers are sending physical portfolios out and the feedback has been great. I’ve picked up a few commissions as well! What do you like about the format? Well, you can’t beat seeing your images in print generally. I also like how print allows you to look at multiple images. I was really impressed (and a bit surprised!) at the print quality, it really does look amazing. My clients are mainly architects, who generally like quite tactile things—models, drawings, etc—so I think sending a newspaper is a really good fit. Do you have a favourite image in the newspaper? Probably the double page spread of the guy in the workshop with the staircase (pictured above). 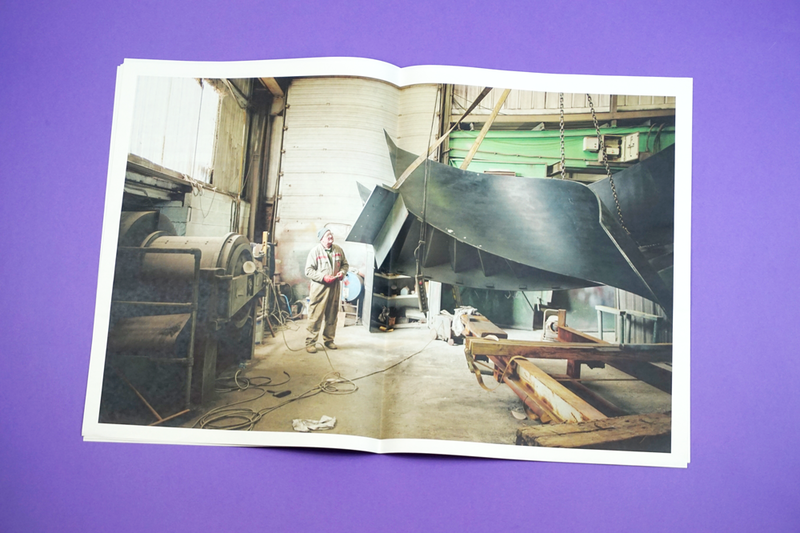 I always enjoy seeing the processes behind projects and this one was shot at a metal fabricators. It’s closer to a portrait than most of my work, which is something I am trying to introduce more of! 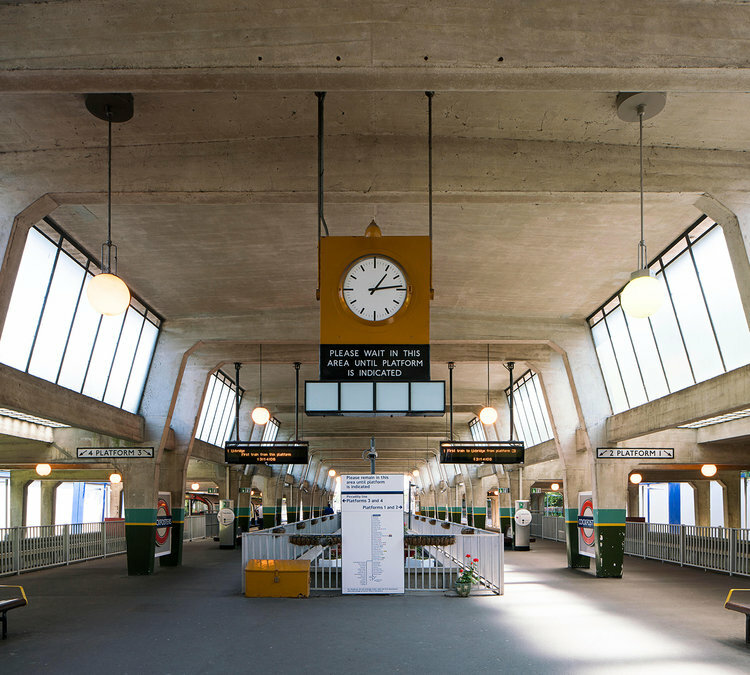 Your newspaper features some pretty spectacular architecture—what is your process for capturing the character of a space or building? 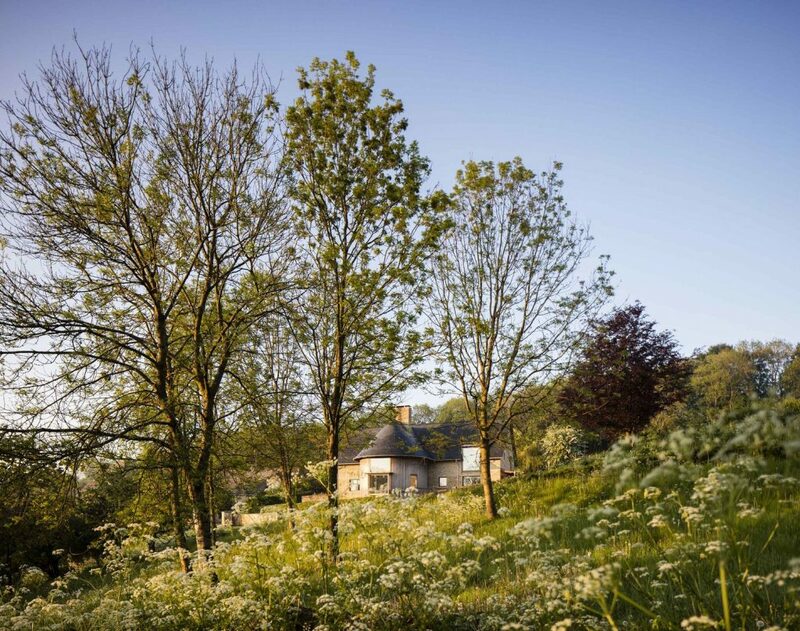 I generally prefer to shoot in the morning, certainly for exteriors, as I prefer the light. If I can, I will always look to include some human interest in the shots. Architecture is about people! 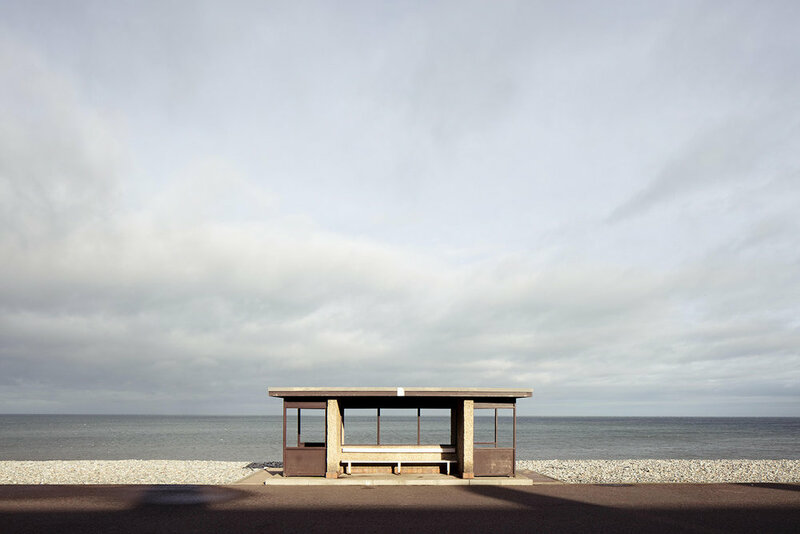 Seaside shelter in Llandudno, Wales photographed by Will Scott. 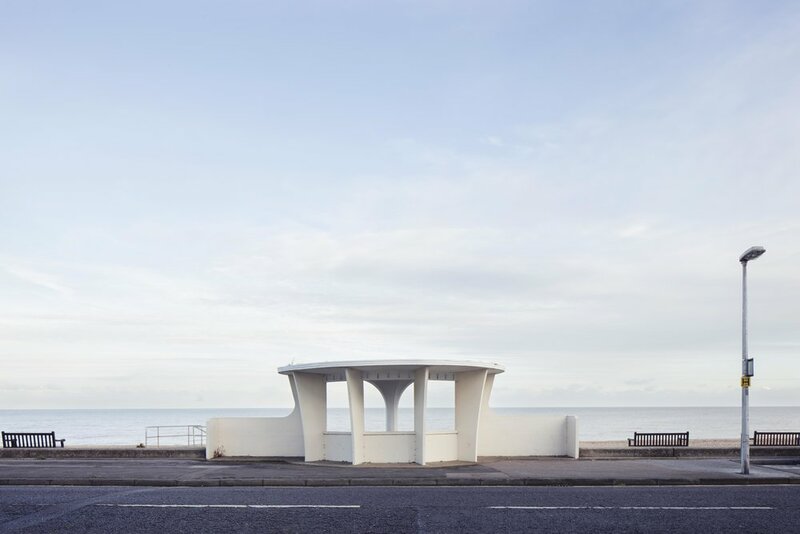 We especially love your photos of seaside shelters (above). How many have you photographed and are you still adding to it? I have done quite a few…the length and breadth of the country, really. Probably over 50! That series is finished I think, it was printed as a book earlier this year and I also had an exhibition which was great. I’m hoping to move onto the next project but commissioned work and family life are getting in the way at the moment! My photography work is not massively collaborative. I will discuss with the client what we are looking to do and often they are on the shoot giving me feedback. But sometimes it’s just me on my own doing my thing! I also shoot films though which I enjoy as it’s much more collaborative and a chance to work as a team. What skills are most essential to your job? I think the most important ones are nothing to do with actually being able to take pictures. Communication skills are probably the main one. Something I am definitely still learning! in the shots. Architecture is about people!" Like any freelancer I think having a thick skin/being able to take rejection—hearing “No thanks” a lot at the start of your career. It is hard to take at first but once you get over it it stands you in good stead for when you go through quiet periods. Cockfosters / Piccadilly Line from Will Scott's series "The Architecture of the Underground"
Seaside Shelters, my first book and proper exhibition, feels like a big moment! It was amazing seeing my work up in print and chatting to people about it. It’s also nice producing work that means something to people—the shelters (and perhaps seaside towns in general) are one of those things that you probably don’t think about much day to day but when you see the pictures you can go back to a memory of having fish and chips or an ice cream in one. So it was nice hearing stories about the various ones I shot from people. Ah so many. Off the top of my head: Simon Norfolk, Massimo Vitali, Nadav Kander. And this is something we ask everyone: can you describe your ideal scenario for reading a newspaper? Well, I’ve got a 3 year old and a 10 month old so probably when we have someone watching them so I can get a lie in for once! 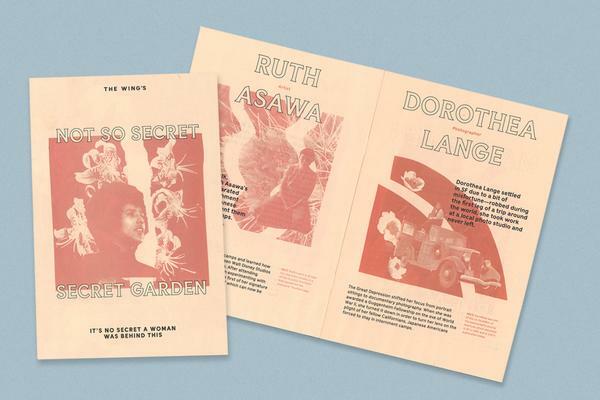 Will Scott's newspaper was designed by Charlie Jennings with copy by Emma Hutton.